Nomadic big game hunters inhabited the area now known as Idaho about 12,000 years ago. About 5,000 years ago cultures with permanent homes appeared and about 1500 years ago bows and arrows came into use. By the 1700s there was evidence of the native American tribe Nez Perce in northern Idaho and the Shoshone tribe in the Snake River plains and mountains in the south. After the Louisiana Purchase in 1803, the Lewis and Clark Expedition was dispatched to explore lands including parts of Idaho. They crossed into northern Idaho in 1805. Sacagawea, the teenage Shoshone who helped guide the expedition, was born in Idaho. The British opened a trading post in 1809 and fur traders from all over the world came to trade the Native Americans for furs. The Oregon Trail crossed southern Idaho in 1843, bringing American settlers to the area. In the 1846 Treaty of Oregon the British ceded their claims to lands which included the area now known as Idaho and set the northern border at the 49th parallel. When Oregon was admitted as the 33rd state in 1859, all of Idaho was included in the Washington Territory. The first permanent Idaho settlement was Franklin, founded by Mormons in 1860. A huge rush of settlers and businessmen followed the discovery of gold in the same year. Most of the settlers came from Washington, Oregon, and California. In 1876-77 the Nez Percé, led by Chief Joseph, made their heroic but unsuccessful attempt to flee to Canada while being pursued by U.S. troops. By the 1880s, all Native Americans in Idaho were living on reservations. 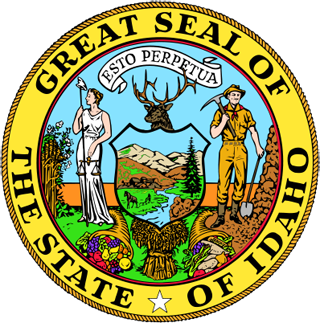 Idaho was admitted as the 43rd state on July 3, 1890 with Boise as its capital. The population at that time was 88,548, but it nearly doubled in the next ten years. Railroads were extending across Idaho Territory during the late 1800s. Now the minerals that the mines were producing could be shipped to other states. Many people arrived on the railroads looking for work. The government work projects during the Great Depression (1929-1939) resulted in many roads, bridges and recreation projects built in Idaho. 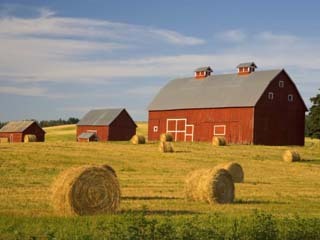 After World War II the economy shifted from mainly agricultural to food processing and manufacturing. Idaho has been a major lumbering and mining state since the early 1900s. Idaho ranks high in silver, antimony, lead, cobalt, garnet, phosphate rock, vanadium, zinc, and mercury. The Snake River has been diverted by dams to provide irrigation for Idaho's agriculture. Only three states have more irrigated land than Idaho. The state produces about one fourth of the nation's potato crop, as well as wheat, apples, corn, barley, sugar beets, and hops. In the 1990s Boise became a center for technology. Tourism now outranks other industries in income. 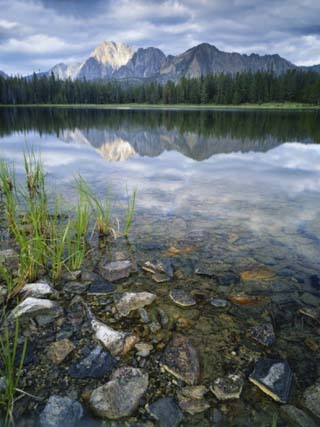 The natural beauty of Idaho's mountains, rivers, lakes, and streams provide camping, boating and fishing sites and they collectively bring in tens of thousands of visitors each year.